Sign Up for free to save time shopping The Lab's wholesale products on LeafLink. 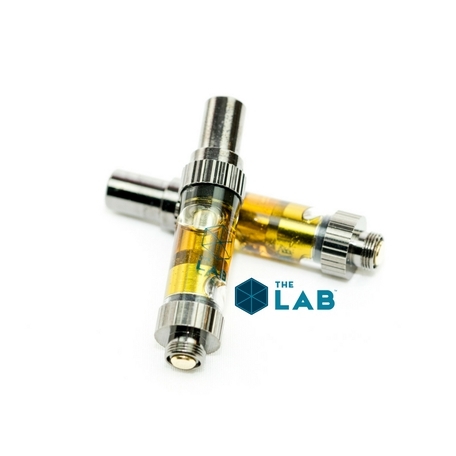 The Lab since it's inception in 2010 has been known for high quality, award winning concentrates and infused products. Always on the cutting edge of new products and extraction processes, performed in a state of the art, class one division one facility. 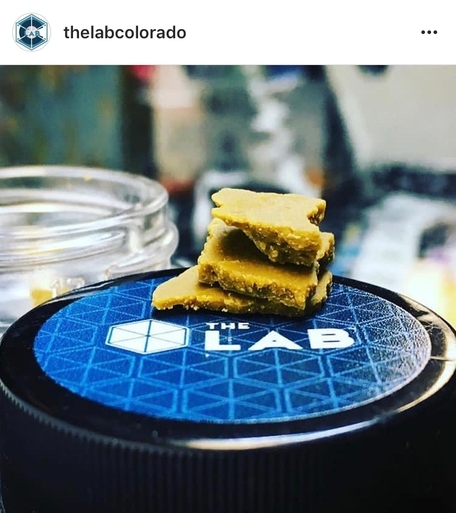 The Lab is now open in several other states including Nevada and Illinois, and has plans to continue national expansion of these award winning products and extraction services. Our latest venture: The Lab’s premium live resin combined with PAX’s superior vapor technology come together to create the perfect match. The concentrate pods have a distinct terpene profile with an amazing aroma and flavor to better enhance your PAX experience. 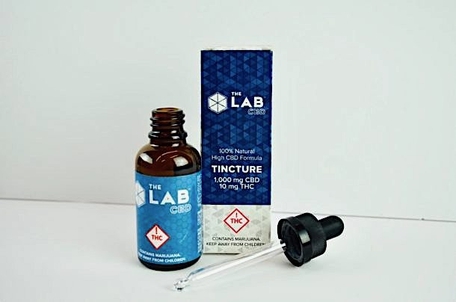 We’re committed to bringing you high-quality products, which is why we present The Lab’s new CBD line featuring tinctures, full spectrum concentrates and isolate!! Our CBD Isolate is extracted from USDA Certified Organic hemp that we grow at our farms in Eastern and Southern Colorado. This past year, we grew 1500 acres (equal to 50 million plants). The particular variety we are extracting for The Lab CBD is a hybrid of Cherry Wine and Berry Blossom. After harvesting in the high cbd hemp genetics in the fall, we extract the organics flower via supercritical CO2 into a raw extract. This extract is full of cannabinoids, lipids, waxes and terpenes. After the initial CO2 extraction, the raw extract runs through a molecular still (fractional distillation) to further purify the material. The results of this amber distillate is 80% CBD. At this point, the distillate starts to crystalize due to the high concentration of THC. From there, the product goes through a wash that removes any remaining cannabinoids and terpenes. The result of this is the clean white powder that is 99%+ concentrated CBD. We test every batch for potency, residuals, pesticides, and heavy metals to ensure the purest quality. CBD Isolate can be dabbed, or used to infuse foods, supplements, edibles, liquids, tincture, etc. 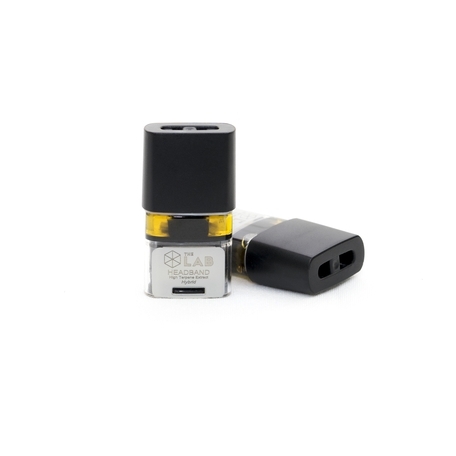 This product is created by infusing high terpene extract derived from strain specific live resin into high purity CBD isolated from hemp. 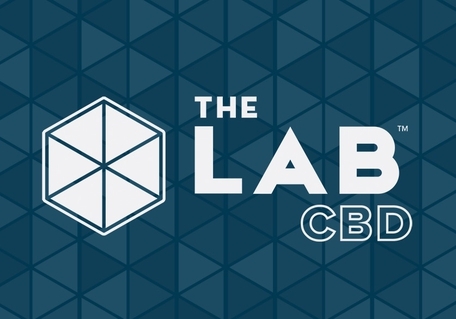 The Lab CBD concentrates provide instant relief. CBD Concentrates are the quickest way to receive the medical benefits that CBD provides. The CBD concentrate will instantly relax your body, and calm your mind. It’s no secret that CBD is changing the way we look at health and wellness, not only as a way to maintain pain relief but as a lifestyle change as well. For years we’ve held steady with Pre 98 Bubba Kush, our CBD dominant strain, but we’ve seen a demand for more CBD. This product is created by infusing high purity CBD isolated from hemp, with purified THC from cannabis and infusing with organic coconut oil. The Tincture is non psychoactive so users will not feel the effects of THC. Budder is a form of BHO (butane hash oil) that has an opaque, warm, taffy-like quality. 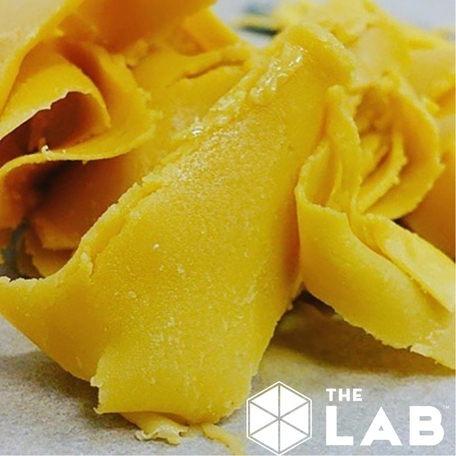 Budder is created by extracting the cannabinoids and terpenes from plant’s trim of whole flower after it is dried and cured. It is an oleoresin which, following extraction, is agitated over low heat to allow the solvent to evaporate. This creates a wax-like, non-transparent extract. This agitation causes THCA, which is solid at room temperature, to precipitate from the rest of the oil and crystallize. 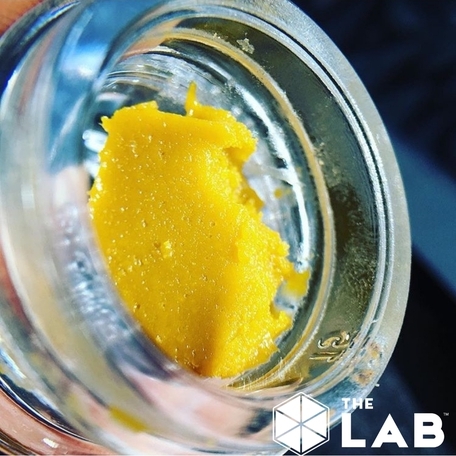 Budder (or wax) has a reasonably high terpene profile, as it is processed using low temperatures to preserve these sensitive flavor compounds. Live Sugar is a terpene-rich concentrate created by extracting the cannabis plant that has been immediately frozen after harvest. This process preserves all of the cannabinoids and terpenes present in the plant. Because the plant has not been dried or cured prior to extraction, fewer terpenes have a chance to evaporate or degrade so the end product has a much stronger flavor profile. High Terpene Extract (also known as HTE or HTFSE) is produced by isolating and preserving extremely volatile terpenes and cannabinoids. The compounds are then refined to create an incredibly potent, flavorful cannabis extract. HTE pods contain between 3-10% more terpenes, as well as 5-10% more THCa than live resin. 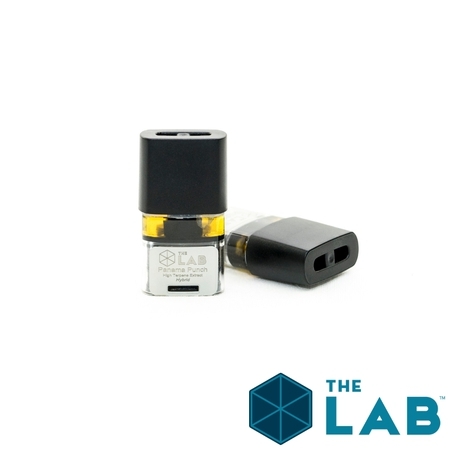 We are proud to announce that ALL HTE Pods by The Lab contain 100% PURE cannabis extract with ZERO emulsifier's added! Made from full plant material extracted directly after harvest, preserving essential terpenes and cannabinoids. A heavy Indica with a lineage of Bubble Gum X Master Kush. A sweet, spicy, candy like flavor with earthy and fruity undertones. Made from full plant material extracted directly after harvest, preserving essential terpenes and cannabinoids. One of the most awarded strains in cannabis history. A heavy Indica with a flavor profile consisting of earthy, diesel and a hint of spice. Made from full plant material extracted directly after harvest, preserving essential terpenes and cannabinoids. Extremely pungent hybrid consisting of spicy, sweet, and sharp fruit punch flavors. This pod was recently awarded the Patient’s Choice as well as Connoisseur’s Choice at the 2016 THC Cup. Made from full plant material extracted directly after harvest, preserving essential terpenes and cannabinoids. Our Cannabis Cup winning high CBD strain consisting of a 1:1 ratio of CBD to THC. A pungent sweet cherry flavor with an earthy finish. A very popular pick for treating anxiety, chronic pain, and sleep. Made from full plant material extracted directly after harvest, preserving essential terpenes and cannabinoids. This heavy hitting sativa consists of hints of sour, skunk, citrus, and is named after its very prevalent diesel flavor. A familiar classic for pot fanatics old and young. Made from full plant material extracted directly after harvest, preserving essential terpenes and cannabinoids. Another multi cannabis cup winner and customer favorite. True to its name, this Cali O Candy Jack cross has an invigorating citrus flavor sure to pack a punch! Made from full plant material extracted directly after harvest, preserving essential terpenes and cannabinoids. 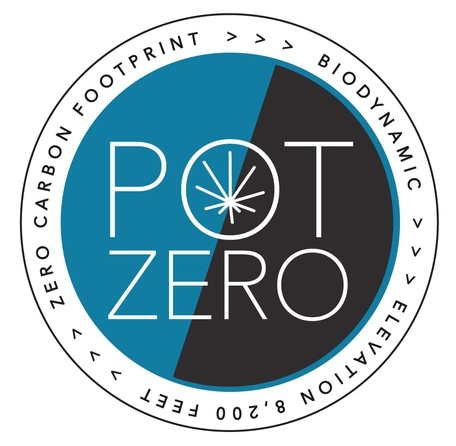 Pot Zero is the ONLY zero carbon footprint and zero chemical licensed marijuana cultivator in Colorado. Our power is produced by our own hydro-electric turbine. The rest of the energy is provided by the sun. Our process is bio-dynamic, as we utilize composted animal waste from our cattle herd for nutrients and fertilizer. We do not use ANY chemicals on our marijuana plants! We are blessed with fantastic mountain loam soil, intense ultraviolet light because of our 8,200-foot elevation, and water that comes directly to the plantation from a pristine 12,500-foot mountain. We call this from Snow to Grow. We are very passionate about having the cleanest, greenest, and most sustainable brand in Colorado. The results are phenomenal terpene levels and rare cannabinoids. Limited Edition live resin pods are small batch runs of select strains ONLY available while supplies last. Get them on your shelves while you can! After many requests for more strains, Strawberry Banana is one of our rotating live resin pod strains, available to retailers at the standard $30 price point while supplies last! 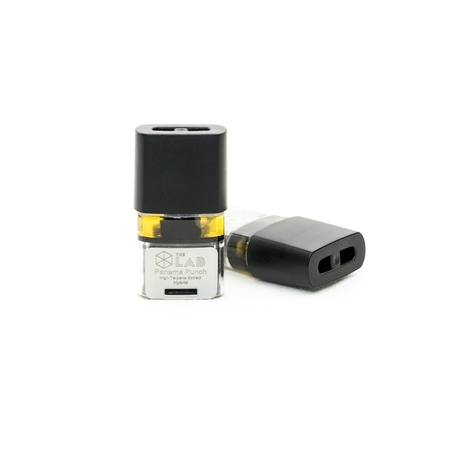 Highly purified cannabinoid extract, infused with naturally derived fruit and plant terpenes. The budder pods utilize high quality concentrate, blended to create terpene profiles intended to achieve specific effects. The CBD budder pod has a ratio of 2:1 CBD:THC. The budder pods utilize high quality concentrate, blended to create terpene profiles intended to achieve specific effects. 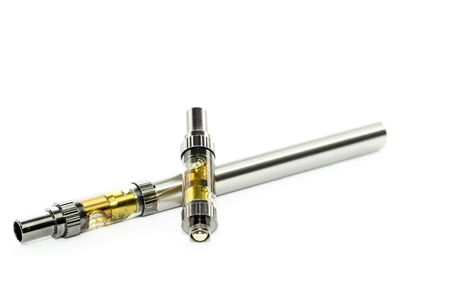 Variable voltage (1.8, 2.7, 3.1, 3.6) for use with our High Terpene Extract Cartridges. Come packaged in a Lab box with charger included! Our most refined form of live resin concentrate YET! 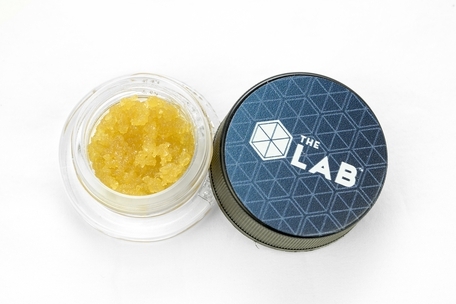 Extracted using full plant material frozen directly after harvest, High Terpene Extract (also known as HTE, HTFSE, or "Sauce") is produced by isolating and preserving extremely volatile terpenes and cannabinoids. The compounds are refined to create an incredibly potent, flavorful cannabis extract. HTE pods contain between 3-10% more terpenes, as well as 5-10% more THCa than standard live resin. It’s no secret that CBD is changing the way we look at health and wellness, not only as a way to maintain pain relief but as a lifestyle change as well. For years we’ve held steady with Pre 98 Bubba Kush, our CBD dominant strain, but we’ve seen a demand for more CBD. This product is created by infusing high purity CBD isolated from hemp, with purified THC from cannabis and infusing with organic coconut oil. The Tincture is non-psychoactive so users will not feel the effects of THC.